Rotork specialises in the manufacture and supply of premium-quality electric, hydraulic and pneumatic valve actuators for a variety of industrial applications. 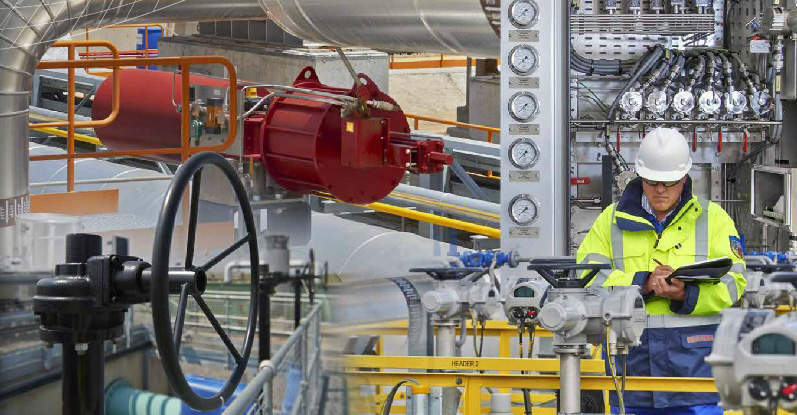 We also supply a comprehensive portfolio of robust valve gearboxes, instrumentation and control products, and accessories, which are all supported by our global service network to ensure long service-life and maximum operational efficiency. 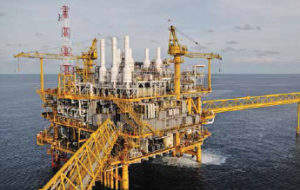 Rotork’s actuation solutions are relied upon for an all-inclusive range of upstream and downstream applications throughout the petrochemical project lifecycle, ranging from offshore production to refining to the transportation and eventual distribution of the finished product. We stock an extensive catalogue of actuator devices that have been carefully developed to meet the exacting requirements of the oil and gas industry, while offering users excellent durability and reliability and hassle-free operation. Our hard-wearing actuators deliver consistently accurate and efficient results and have been proven to reduce operational costs, in addition to contributing to a safer, more environmentally friendly plant environment. 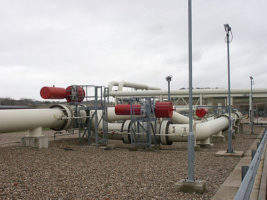 The company is able to supply actuators for new-build developments, as well as retrofit systems and services for existing facilities when required. Rotork’s IQ electric actuators are integrated with a number of cutting-edge features designed to offer easy and efficient operation, including highly precise predictive maintenance (PdM) and data-logging systems, durable double-seal enclosure mechanisms and infra-red commissioning. Our intelligent IQ functionality can be provided for valves of practically any configuration, including multi and quarter turn, modulating and isolating variants. Components can also be developed in accordance with all internationally recognised watertight and hazardous location specifications. CVA and GPSA actuators combine advanced electrical and mechanical technologies with ‘smart’ linear and rotary control valves in order to offer users an outstanding level of valve automation for continuous modulation processes, while also featuring a configurable ‘fail to position’ setting to ensure safe operation. 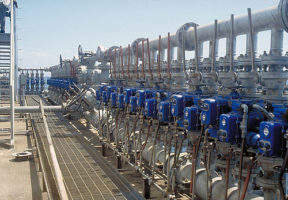 In addition, these systems offer innovative non-intrusive calibration and valve diagnostics. Additionally, Rotork’s offering of state-of-the-art actuation solutions includes the AWT range, which provide users with simplified, highly precise control capabilities, as well as its compact ROM and Q direct-drive systems that have been purposefully developed for application with small-scale quarter-turn valve units. We also provide control and serial communication systems such as our easy-to-use Pakscan solution, in addition to an array of pioneering open systems such as Foundation Fieldbus, Modbus, Profibus and DeviceNet to deliver a comprehensive chain of reliability throughout the project lifecycle. Rotork Fluid Systems’ line of high-quality, user-friendly solutions include its popular H, GH and RH series hydraulic actuators, as well as the company’s leading P, GP, CP, RC200 / RCI200 and R pneumatic systems, which have been specifically optimised for high-speed failsafe or emergency shutdown applications in extreme subsea environments. 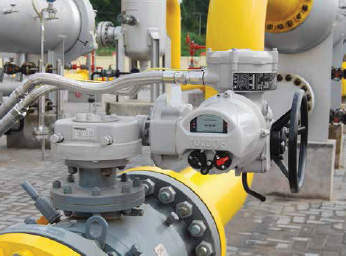 Our product catalogue also includes our high-pressure direct gas (HPG), gas-over-oil (GO) and Skilmatic electro-hydraulic actuator ranges to address a complete spectrum of specialist operational needs. Most actuator ranges are available in both linear and quarter-turn configurations depending on the customers’ requirements. The company’s dedicated electric valve actuator division, Rotork Controls, specialises in the provision of cutting-edge solutions for an all-encompassing range of size and complexity specifications. Our capabilities include actuators and control units for new plants, as well as plant extension and upgrade projects, which are backed by comprehensive life-of-plant support by our expert personnel. Rotork solutions are provided and serviced by one of the world’s premier sales and support networks, Rotork Site Services, which was specially established to offer the company’s worldwide client base with truly local, personalised customer service experience based around their individual needs and specifications. 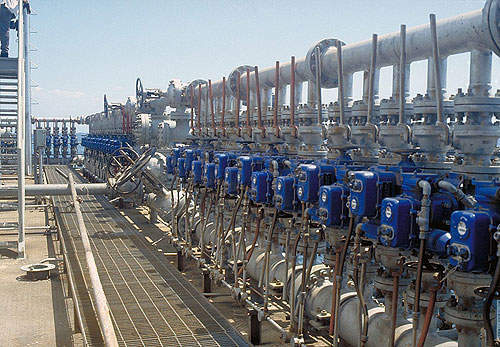 Rotork Fluid Systems is engaged in the fabrication and provision of hard-wearing, high-torque fluid power valve actuation systems for the global oil and gas sector. Our purpose-designed actuator manufacturing plants in Germany, Italy, Sweden and the US are further aided by a network of innovative Centres of Excellence, which offer a wide portfolio of support services, ranging from engineering, packaging and installation activities to commissioning procedures and localised after-sales support. We are committed to providing the highest possible levels of quality and safety across our entire range of solutions and are able to offer customised testing systems to verify the products’ correct operation and functionality, in addition to assisting during research and development (R&D) activities. Rotork Instruments specialises in the design, manufacture and delivery of advanced technical solutions for industrial pressure and flow control / measurement applications. Our high-quality products are relied upon for their exceptional precision, reliability and durability in a wide range of sectors worldwide, including the pharmaceutical, biomedical and petrochemical industries. Rotork is also able to develop and fabricate fully bespoke systems that are carefully tailored to ensure optimum performance, as well as complete compatibility with customers’ existing infrastructure and unique operational needs upon request. Rotork Gears is able to supply a versatile selection of valve gearboxes, accessories and other auxiliary equipment to support an extensive range of industrial applications, ranging from small-scale operations to major petrochemical projects. Our line of robust components comprises both economical, manually operated systems and highly specialist devices for critical marine activities, which are fabricated in-house at our manufacturing facilities based worldwide. We possess more than 60 years’ experience in the development of high-quality solutions to address the unique requirements of the hydrocarbons industry, and are committed to both the continual improvement of our products and providing clients with specialised, hands-on customer service. UK-based actuation solutions specialist is delighted to announce it has been awarded substantial contracts for the delivery of valve actuators and gearbox systems to Hengli Petrochemical Refinery in Dalian City, China. Rotork is pleased to announce that its newly established, in-house hydrostatic testing facility in Singapore is already making a significant contribution in terms of securing new contracts. Ensuring the ability to minimise the emission of volatile organic compounds (VOCs) from oil tankers during sea voyages in unpredictable conditions is a key consideration for marine operators worldwide, both commercially and environmentally. The Iraq-based State Company of Oil Projects (SCOP) is currently building a new facility known as the Karbala Refinery, which is expected to use cutting-edge refining and automated control processes to optimise the production of petrol, jet fuel, gas and fuel oil, and asphalt. Fairchild, a brand of hydraulic control systems specialist Rotork Instruments, is a leading manufacturer of precision pneumatic and electro-pneumatic components for industrial applications. Rotork is pleased to announce that its Skilmatic SI electro-hydraulic actuators have been deployed at Mauritius' SSR International Airport, as part of an initiative to increase safety and efficiency at the site. Many refinery operators have spoken of the need to increase the efficiency of flow control within their plants, as well as the requirement for a system to allow their Distributed Control System (DCS) to show whether their on-site valves are in an open or closed position. UK-based Rotork has received an order for multiple types of valve actuators, which will be used for a number of different applications at a new Middle East-based crude oil refinery that is currently under development. UK-based actuator and flow control technology company Rotork is pleased to announce it has received an order for 220 pneumatic actuator systems, which will be deployed for the NASR Phase II Full Field Development Project situated in the UAE.